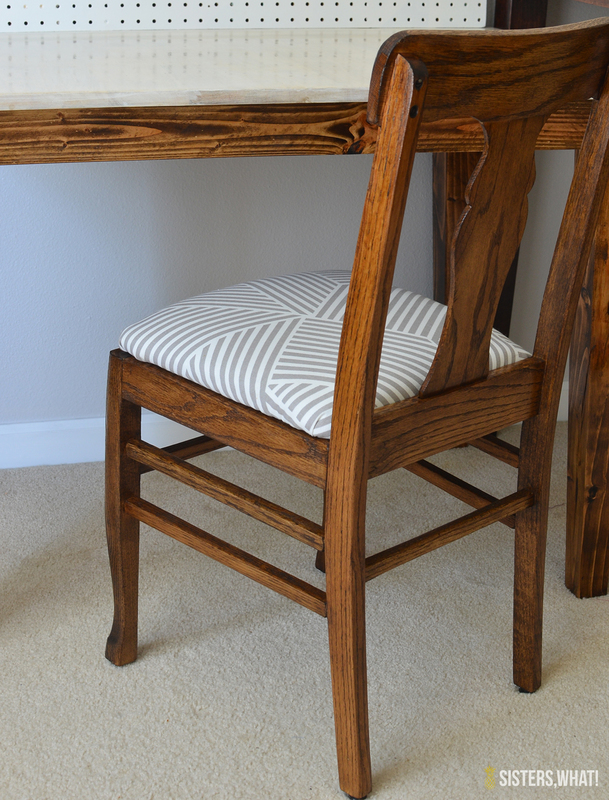 ' DIY Chair Makeover from Old to New - Sisters, What! 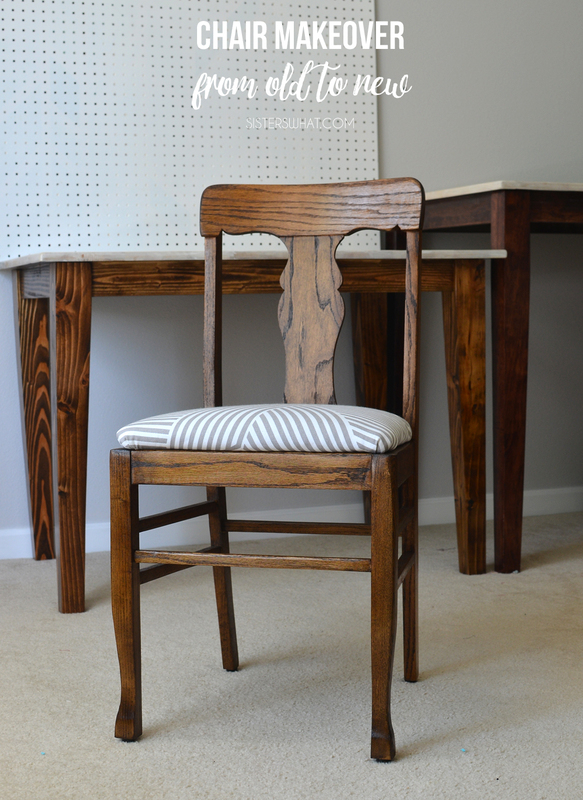 Last year when I shared our Master Bedroom/ Craft Room One Room Challenge, I showed this old chair that I refinished. The chair is from my parents house that was always in my dad's office and has been sitting in my parents garage for the past few years and has become well loved my cats and dogs. My parents were going to get rid of it, but I thought with a little sanding, all those scratch and bite marks could be easily sanded away. And so I brought it back to our house and went to work. First I sanded it with an orbital sander and then for the areas that I couldn't get with the sander, I hand sanded. After I went through the different levels of sand paper (starting on the coarser sander paper until about 200) I was ready to stain it.The wood underneath showed to be beautiful and still in excellent condition. At first, I was tempted leave the natural color of the wood but decided to do a dark walnut stain. Then I added a couple of coats of polyurethane sealant. 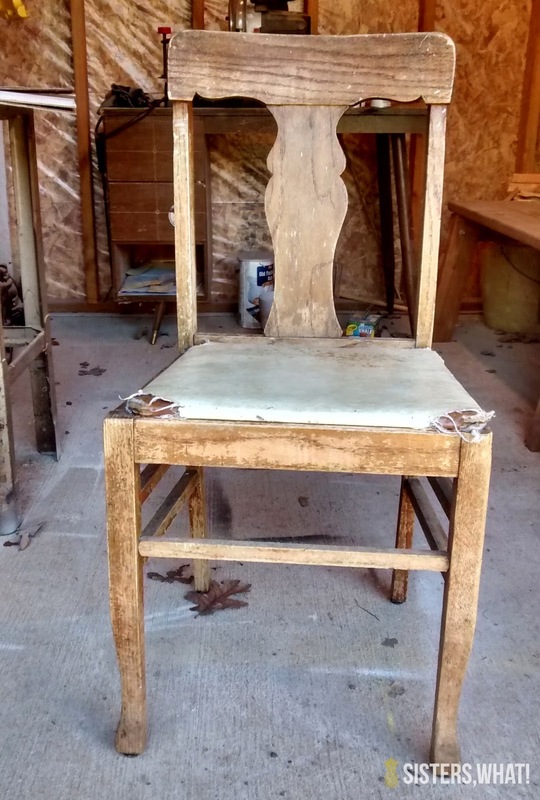 It badly needed a new seat, so my husband traced the old one onto a piece of cheap plywood to make a new one. Then I added the foam and fabric. 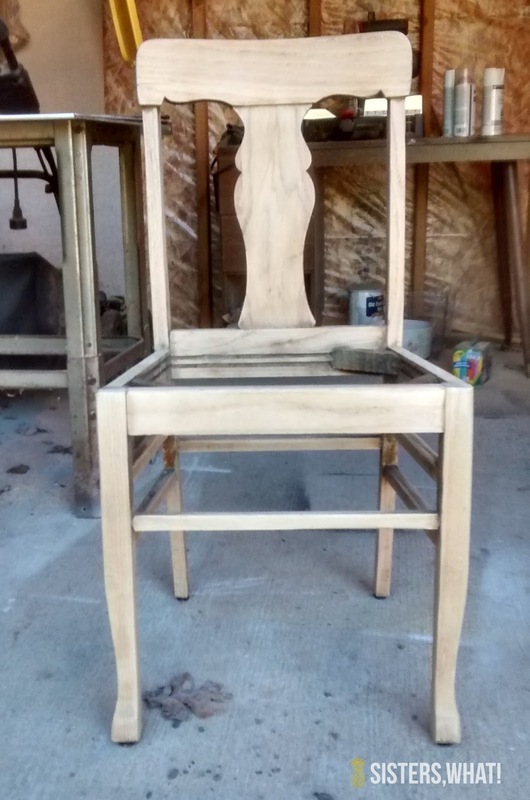 The picture below is from a different chair I recovered (I forgot to take a picture of this chair. Unlike the picture below, I only added foam that was the exact shape of the seat. Then I stapled my fabric all around onto the seat bottom. Then we screwed the seat back on. super easy. And that's it!